An island of garish casino machines lit up like Christmas with blinking bulbs of blue and red and green blurted noises and snatches of distorted music across the empty carpet. My daughter was sleeping across my lap as only children can. I was pinned into the chrome and vinyl seat. 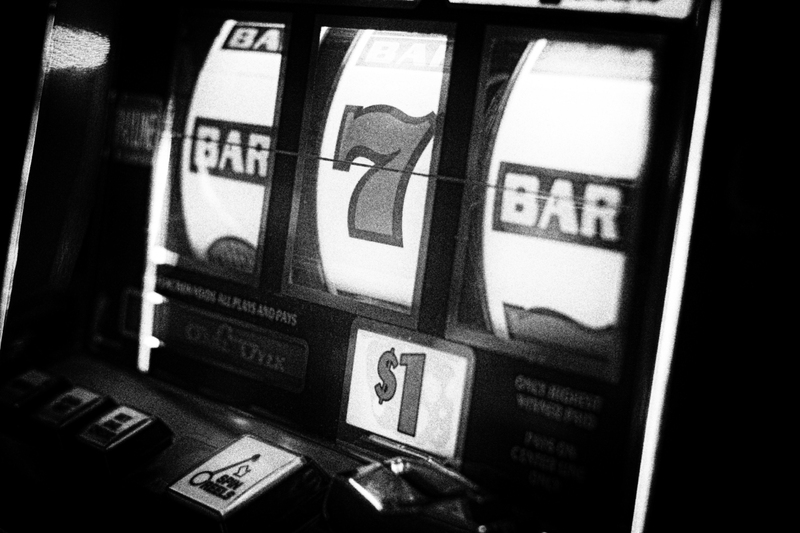 From the nest of slot machines emerged a young girl. She was faded like a Polaroid left on a dashboard. She didn’t look quite real, as though caught in the act of fading from this world into the next one. Though young, she seemed crushed into early old age. She sighted as she plopped into a seat, but there was no relaxation Her furtive eyes kept darting past me toward the bar. She seemed anxious. I grabbed my notebook and wrote this poem. Posted in Poetry, Überhaus Diary. Bookmark the permalink. “toes push out from cheap shoes / ugly to begin with” really painted her for me.